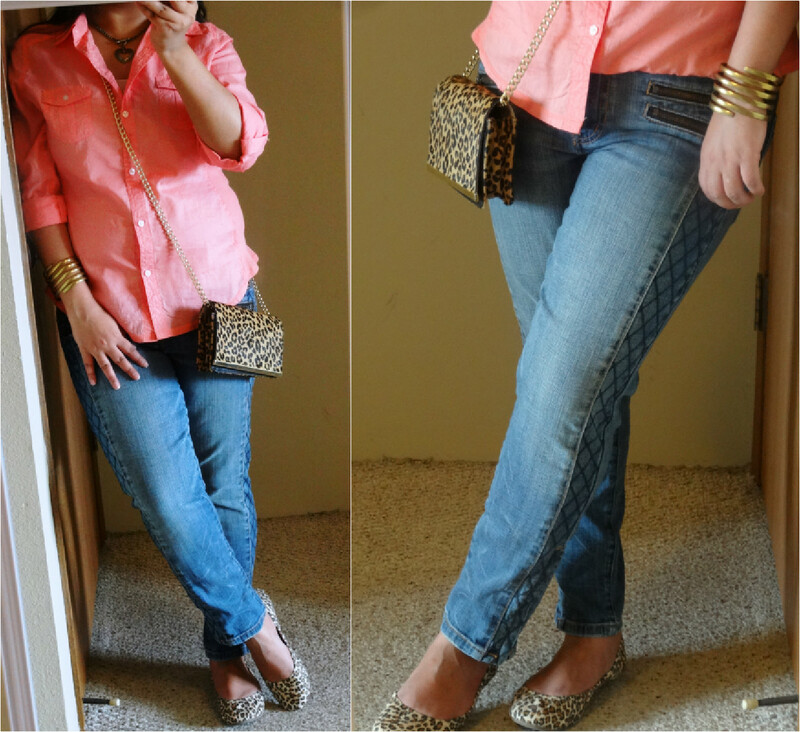 Here comes my first outfit post. I am sooo excited and sooo nervous too while posting this. This is what I wore on the weekend while going out for shopping. I wanted to keep it simple yet stylish at the same time with being comfortable. 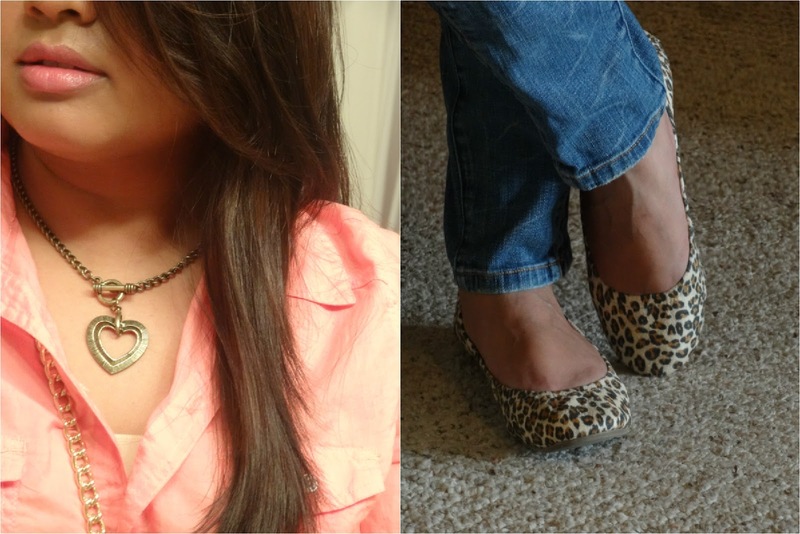 And whats more comforting than a shirt thrown with denims and flats. 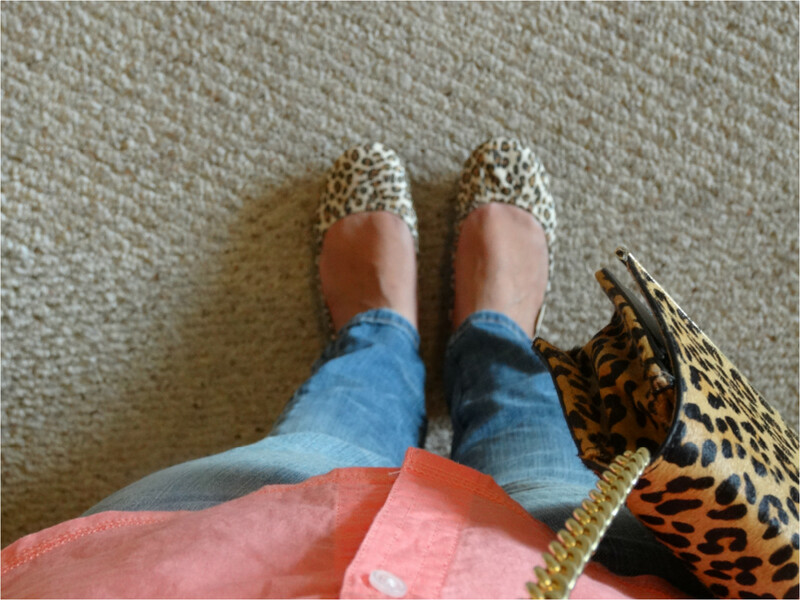 So I wore my FAV pair of jeans(see the side details on the jeans, it has cute zippers at the end too) with leopard flats with matching leopard bag that am in so much love with...and voila I was ready to go. Hope you like it. I would love to hear from you.